9.25 At Nurburgring In A Stock MINI Cooper On Stock Tires! Couldn't Make The 2012 Paris Motor Show? Do the next best thing and peruse the 900+ photo gallery of the Show provided by AutoSpies.com and this one provided by MotoringFile. 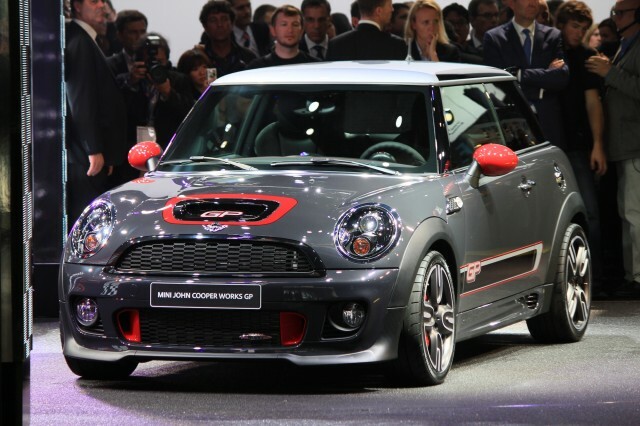 MotorAuthority has posted a choice gallery of photographs of the 2013 MINI John Cooper Works GP that is on display at the 2012 Paris Motor Show. Paris is a rather expensive European city. So instead of opening a brick and mortar store, MINI France outfitted 10 MINIs as scaled-down, mobile stores (each one with a salesman, brochures, and hours from 9 a.m. to 6 p.m.) and drove them around the city. Passers-by were able to enjoy a test drive and even purchase cars. According to integer shopping culture, the places the cars were parked were immediately branded as MINI store locations. TopSpeed provides a bodacious bevy of photos of the beautiful babes. The website Klutch Republik offers a wonderful photo gallery of this slammed MCS. All 2013 pricing includes a $700 Destination and Handling charge (unchanged from 2012). GPII pricing to follow closer to launch. The semi-automatic roof and rear wind deflector are now standard on all MY 2013 Roadster variants. MY 2013 production of MINI Hardtop, Convertible, Clubman, Coupe and Roadster will begin in July 2012. MY 2013 production of MINI Countryman will begin in November 2012. A little mountain road MINI chase - don't try this at home. Beacuse it's a relatively subtle take on the classic Cooper shape. Given the popularity of bright, bold colours on the modern Mini, the muted brown and black wheels are a refreshing change. MotoringFile's inside MINI snitch Herr26 expands on MINI Head Honcho Harold Krueger's comments on MINI producing a new small SUV, a sports car and a sedan. Herr26 gives some insight into the present sketches and planning for these vehicles. autobloggreen discusses a study by Gfk Automotive that concludes Gen Y buyers prioritize excitement, looks, and driving fun over fuel economy when it comes to reasons to buy a small car. The article also reports this is a large change from how the Y Generation's predecessors viewed small vehicles. MINI Netherlands Asks "How Do You Drive Your Coffee?" MotoringFile has an interesting speculative article that makes educates guesses at what MINI Board Member Harald Kreuger meant when he is alleged to have referred to more new models over the next couple of years including a small car, a sports car and a SUV. "The Beast On The Dragon"
$35,550 including destination charges, according to the official MINI press release as reported by MotoringFile. "The MINI You Weren't Expecting"
We can’t wait to see how the Paceman drives, because while the power seems adequate and the excellent MINI six-speed manual is standard (six-speed auto is an option), the Paceman sports a longer wheelbase and higher center of gravity than the conventional Cooper – characteristics that may dilute its trademark driving dynamics. But then again, maybe they won’t. The Paceman comes with a bevy of driving aids such as MacPherson spring strusts, a multi-link rear axle, Stability and Traction Control and 16-19 inch alloy wheels. It may be larger than the Cooper, but the Paceman is still a two-door MINI and that’s enough to pique our interest. Calling it a "grown-up toy for people with sizable piggy banks and a notable lack of claustrophobia" Kristen Varela of Cars.com in an article for Newsday reviews the 2012 MINI Cooper S Coupe. MINI, Make The Adventure Wheel, Pleeez?! Rock Paper Sketch provides this challenge to MINI We think MINI should pick this gauntlet up. It would be awesome! 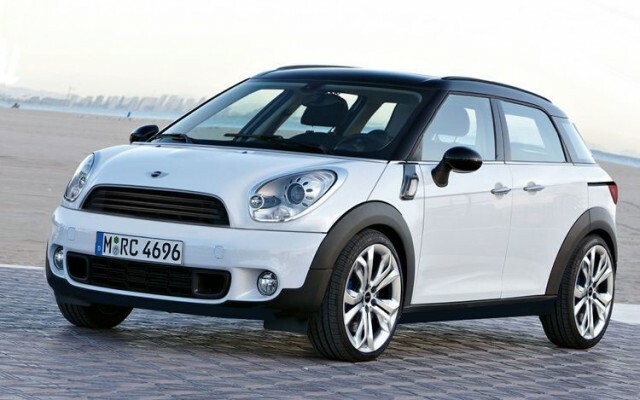 Will MINI Offer A Mini MINI, SUV And Sedan? 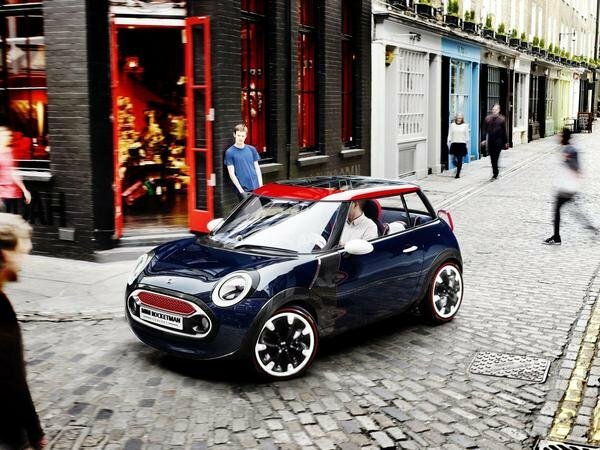 edmunds inside line says MINI is considering "a small SUV, a small sports car and a sedan." The article also discusses the possibility of each and further MINI expansion. MINI Training Experience is aimed at all fans of MINI. Depending on requirements, customers can select their training from one of two categories: MINI Safety Training and MINI JCW Experience. MINI Safety Training teaches MINI drivers how to stay calm and composed in everyday driving situations. There is a choice of two modules – the half-day MINI Quick Pack or the full-day MINI Starter Pack. Alternatively, the two-day MINI JCW Fascination Nordschleife course is for customers looking to take on a sporty challenge in the MINI – on the Nürburgring Nordschleife. 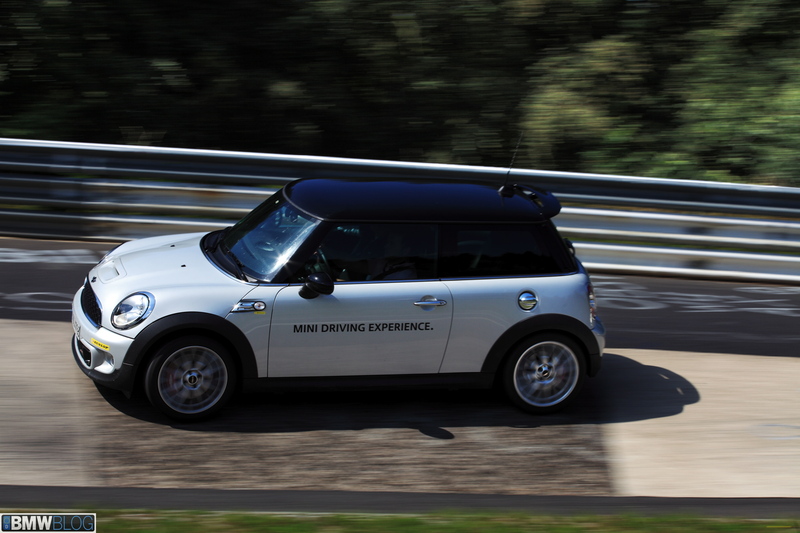 The second MINI Driving Experience module, MINI Tour Experience, was completely revamped in 2011. Here the focus is on typical MINI driving enjoyment combined with a special recreational experience. Technical info, style, fun, relaxation and the typical go-kart feeling: there’s something of everything. The tours are still at the planning stage, but will comprise Day Tours and Multiday Tours. Possibilities being considered are a Day Tour of Munich, where the participants would begin the day with a driver training session and follow this up with a drive round town combined with shop-hopping or spa visits. Multiday Tours currently in the pipeline include a MINI Convertible Multiday Tour and a MINI Lifestyle Multiday Tour. On the MINI Convertible Multiday Tour, the participants would tour the Salzburger Land in a MINI convertible, with lots of rewarding stop-offs to linger over on the way. The MINI Lifestyle Multiday Tour would take the participants as far as Zurich, with the accent more on “getting there” than on the final destination. Participants will explore some of the sights along the way, as well as visiting the hippest venues and clubs. Other MINI Day Tours and Multiday Tours will follow. 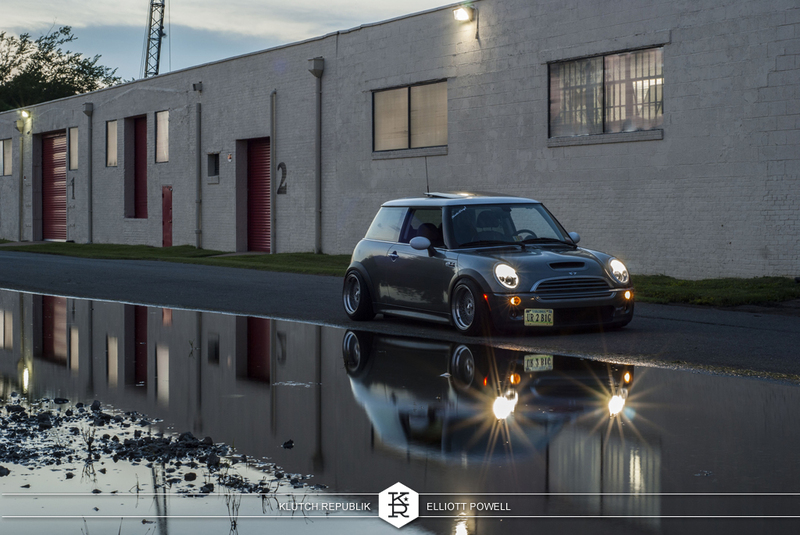 "Scootin' Tootin' Entry In The MINI Lineup"
I don’t think most buyers are going to opt for JCW, even though zero-to-60 time drops to a quick 6.1 seconds. It certainly tops out the fun factor among Minis, but on a daily basis the ride is a bit punishing and engine and road noise rather loud. Personally, I’d go with the 181-horse S.
Automobile's editors each review the 2012 MCS Countryman ALL4. Each provides a short review. Most agree that they prefer the rear bucket seats to the bench seat. On September 22-23, 2012, NORCAL MINIS had a wonderful overnight. The Club met at 8 a.m, in Monterey and ran Big Sur to Pismo Beach on Highway 1, stopping along the way to look at Bigsby Bridge, Pfeiffer-Burns State Park, and the elephant seals on the beach near Hearst Castle. After an afternoon at Pismo we made our way to our accommodations in Santa Maria, topping off the evening with a fantastic dinner at the Central City Market. On Sunday morning we traveled south for a fine brunch at the Greenhouse Cafe in Solvang, a quirky Danish Village, before we went our separate ways. Thank you to all who attended and to all who helped plan this event and make it memorable. If you were on the overnight and took photos or videos send them to us and we will post them. Out For A "Short Blast"
A sporty driving experience, the Mini Cooper made me realize that it offers so much more than I had expected, really taking and owning the road, no question about it. For those who have the need for speed opt for the S or the John Cooper Works Coupe, altogether you will definitely know you are behind the wheel of a Cooper. Only a few days left to design your own custom MINI Clubvan with the MINI Clubvan Facebook Application. Will yours be the best designed Clubvan? Get a look at the competition with the app! Auto Express claims MINI boss Harold Krueger expects 3 more new MINI vehicles in the next couple years in addition to seven models now offered. It also expects MINI production to spread beyond Oxford to the Dutch Nedcar facility. 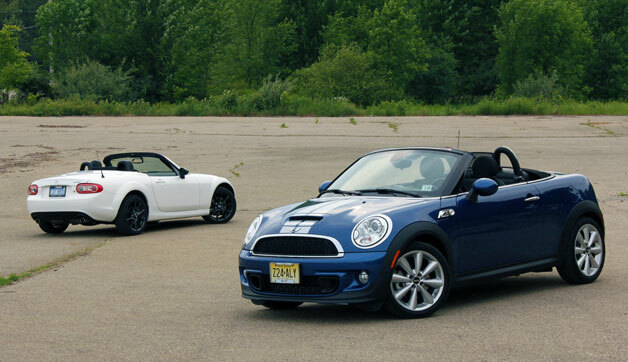 Full confession here, I – love – MINIs. I like the way they drive, the way they look and the way they make me feel. When the MINI Clubman came along, I liked it because it was 98% a MINI and I could squeeze my rugrats inside. Things changed a bit when the Countryman came along. It’s still a fast, fun machine – but some of that MINI-ness has abated. Now, after the odd-ball coupe and roadster, this may be a step in the right direction or… off a plank. What Is The Most Fun Green Car? Okay MINI USA we have waited long enough. When do we get diesel MINIs? The JCW Roadster is the best open-air MINI to drive, with its pin-sharp handling. Sporty looks and hot hatch-rivalling performance also add up to a pretty tempting package. On the downside, though, in everyday driving it’s hard to justify its £3,955 premium over the more comfortable Cooper S.
autoblog reports on a survey of men by UK car parts website Breakeryard.com in which men voted the MINI the sexiest car for women to drive. This brash, sporty, two-seater Coupé take on the Mini is worlds apart from BMW’s original Mini One, and an unrecognisable development of Sir Alec Issigonis’s 1959 much-loved little box on wheels, but I think it’s the most successful design yet, showing that BMW has no fear in where it takes the marque, and isn’t afraid to inject a little loving humour into its models. During our prototype drive we were surprised at how well the Paceman carried its relatively hefty mass around Malaga's tight bends. It's not as nimble as the base Mini, and the car we drove had an emissions testing calibration that restricted its performance, but the Paceman still invigorated the senses and enticed a smile. That bodes well for this seventh edition, but until we take delivery of one at MT HQ, we'll have to wait and see if this niche-filler does indeed fill the mini-est of voids. 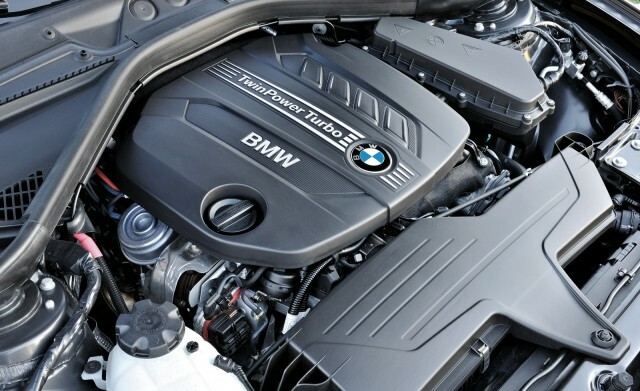 MotorAuthority examines the upcoming modular BMW/MINI three cylinder turbo charged engines set to debut in the third generation MINI. 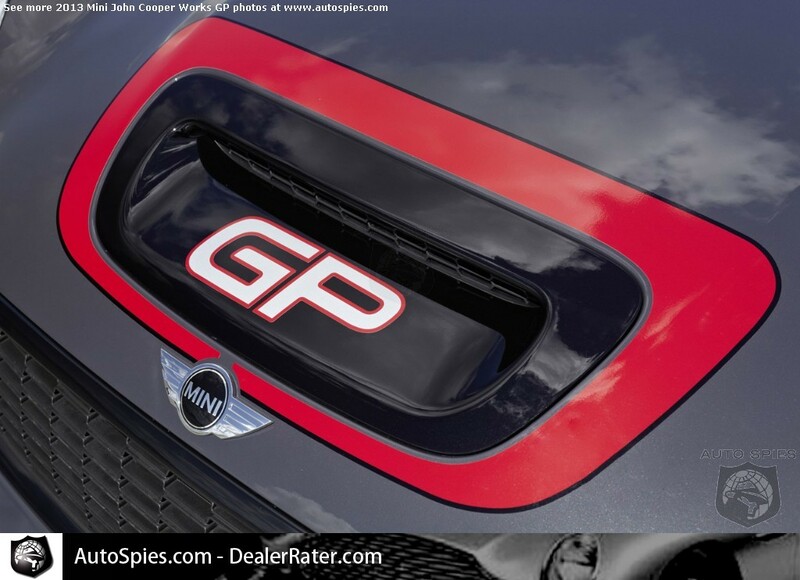 John Rettie examines the 2013 MINI John Cooper Works GP for Road and Track in advance of its debut at the Paris Auto Show and notes only 2,000 of the specially tuned vehicles will be made. Add in the almost endless accessory packs and options to spec-up and personalise your car and the Roadster is unmistakably a Mini and that means fun with a capital F.
I think even [Gibson's neighbor] Jim would approve! "Extreme Driving Fun On Any Terrain"
That is how 3D Car Shows titles its review of the MINI Countryman JCW ALL4. The North Hollywood - Toluca Lake Patch reports a new 35,000-square-foot facility has broken ground for MINI of Universal City dealership at 4338 Lankershim Blvd. The three-story development will replace the current MINI dealer, which is a few storefronts down the street, house 200 new and used vehicle and include a second floor showroom and maintenance facility. Car and Driver gets up close and personal with the 2013 MINI Paceman concept and comments on its similarities and differences to the Countryman and Coupe. 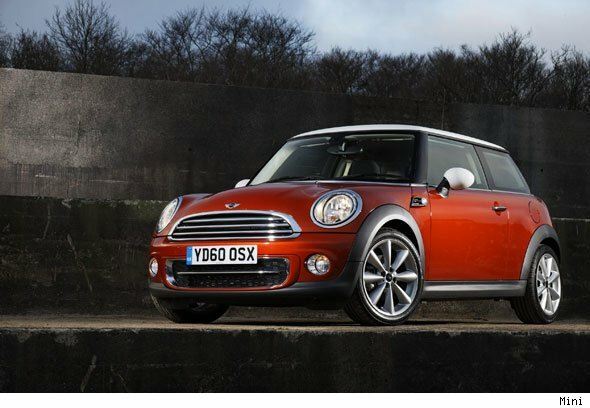 Which should you buy - the MINI Cooper or one of its competitors? Here, Manish Singh's YouTube video provides an analysis and comparison of each of the competitors and suggests which is a better choice. Argentine MINI Cooper S Ad "Elegancia"
Argentine MINI Convertible Ad "Deportivo"
MINI Versus Ford Flex - "Butch vs. Femme"
Argentine MINI Cooper Ad "Velocidad"